A powerful proprietary gaming platform offers gaming operators a full back-office solution which can be deployed among a variety of gaming scenarios including: sports betting, casino, bingo, and online lottery. A portfolio of in-house developed social, real money and lottery gaming content. 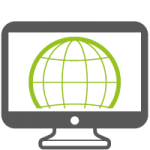 Our research-based approach is aimed at attracting and driving player engagement and repeat behaviors. A first-of-its-kind remote sports betting system for regulated markets. The system combines pool betting with a unique lottery format that allows live in-play betting during sporting events. 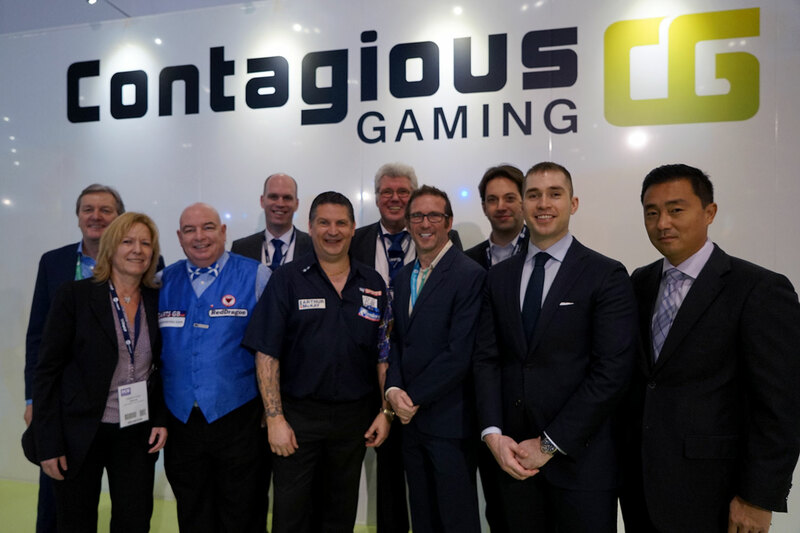 Contagious Gaming management are pleased to report the recent ICE gaming exhibition London 2016 was an outstanding success. ICE exhibition is the largest annual global event for the gaming betting industry. Attracting leaders and decision makers from the international gaming community. Exhibitors on show included, lotteries, sports-betting, mobile, on-line gaming, bingo, social gaming, casino, slot and betting terminal operators. The event was the first opportunity for Contagious to showcase it’s range of products. Including, the new Goal Time, eInstant games portfolio, and the Digitote xTurf sports-betting betting platform. 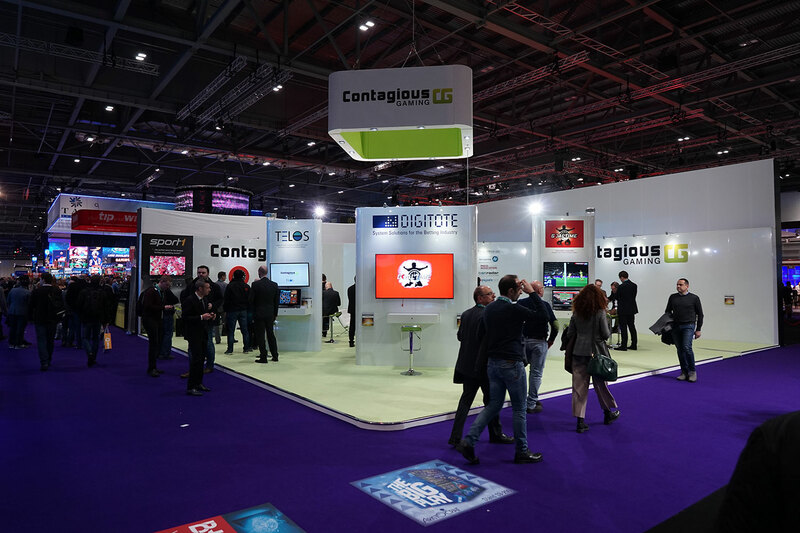 The Xturf platform, showcased Contagious’s extended sports-book betting system, including, virtual football, virtual tennis, virtual horse and dog racing and virtual basketball. The show also provided an opportunity to meet gaming companies from around the world to discuss possible collaboration and JV possibilities and opening sales channels with attendees, from Asia, Europe, China, North & South America. Contagious also invited Sports 1, a leading German sports TV broadcaster to join us on the stand. Sports 1’s invited “Gary Anderson” the World Professional Darts Champion of 2015 & 2016. Sports 1 offered a €5,000 prize to anyone who could beat Gary in a one off darts game.